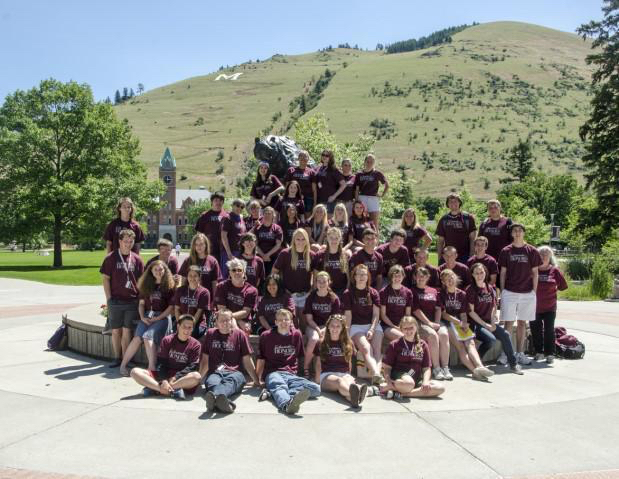 Join a two-week summer honors program for high school students and incoming college freshmen to explore University life and academics at the University of Montana’s Davidson Honors College. Learn from award-winning honors faculty, build connections with other curious students, and engage in what an honors education has to offer, including experiential learning and small class sizes. Choose between two environmentally-themed courses and receive three college credits. Statement of Interest: In 500 words or less, please describe your interest in participating in the Schwanke Institute’s summer honors program. Please be specific in the relevant experiences you have had, what you are interested in learning, and why you would like to participate in this institute. Name and contact information for a high school counselor as a reference, an unofficial copy of your high school transcript, and financial information, if you are interested in being considered for a need-based scholarship. The 2019 Schwanke Institute is an immersive, two-week classroom and field-based program focused on the environment and sustainability. Students choose between two, three-credit courses taught by University of Montana Honors faculty. These courses draw from the University of Montana’s nationally-distinctive programs in creative writing and climate change studies. Western Montana is rich with sparkling rivers, magnificent lakes, and ponds. Creative Writing in the Environment offers the opportunity to explore these waters afield and through the written word. 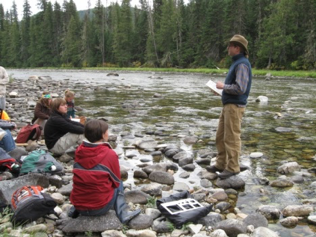 Students will focus on identifying their own home waters, be it stream, lake, pond, or ocean. What draws us to water, that most essential and entrancing of elements? What shapes, defines, and threatens our home waters? Students will interpret the theme of home waters through poetry, short fiction, and creative nonfiction. Read more about the course description and instructor. How will climate change shape the future? What are the opportunities and risks for human society? How can we anticipate and engage with solutions? These big topics are made local and personal as we study climate change on the natural and cultural landscape, consider new perspectives through interactive simulations, talk with local sustainability leaders, and work in teams to develop practical solutions. What, ultimately, does it mean to build hope and personal power in the face of climate change? Read more about the course description and instructor. The cost of the 2-week program is approximately $1495, which includes tuition, lodging, meals, and activities. Thanks to the generous support of the Kermit and Kathleen Schwanke family, there are a number of tuition-only scholarships that will be awarded on the basis of financial need. Information about applying for a scholarship is included in the application. Presidential Leadership Scholarship semi-finalists may apply for these need-based scholarships and will also be granted a $500 scholarship.